We’re only four months into 2019, but the Backstreet Boys are already experiencing a year’s worth of achievements. From a #1 album to a Grammy nomination to a Grammy Museum exhibit to recognition from the city of Las Vegas as they finish out their fastest selling residency only to embark on a huge world tour in the next month, Kevin, Howie, AJ, Brian and Nick are celebrating their 26th year together by doing what they’ve always done - working hard and making great music! “It's satisfying and exciting, because you work so hard after so many years. We never really expected it. We don't ever expect anything that's been given to us or that happens to us. 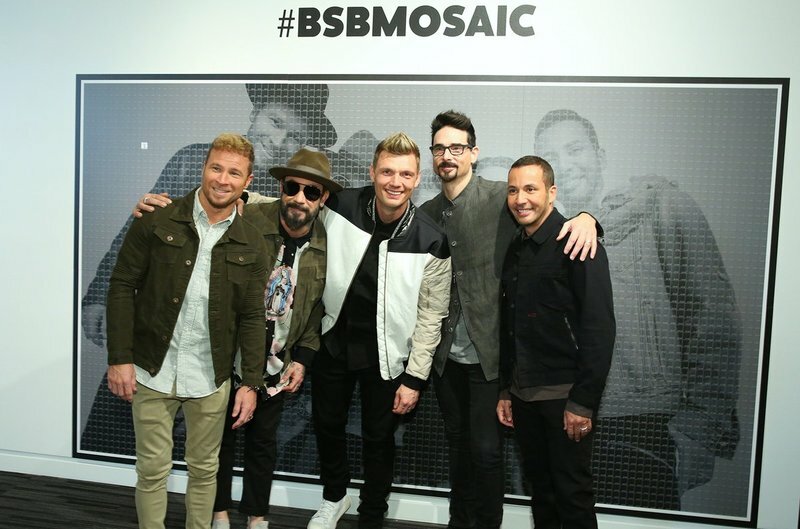 We're just kind of living in the moment,” Nick told Billboard earlier this week as the Boys got the first look into Backstreet Boys: The Experience, an exhibit at the Grammy Museum in L.A. The display, which is open to the public now until September 2nd, is truly an experience for anyone who has ever loved the Backstreet Boys -- even the Boys themselves were impressed with some of the items. In their Q&A with JoJo Wright on Monday, they recalled pulling old wardrobe from a warehouse, the memories it brought back and their astonishment at the great condition the items seemed to be in. You can watch the entire interview (which includes some things you’ll definitely want to hear about) here. "This exhibition is a perfect way to share our favorite memories with the people who made our dreams a reality,” AJ shared. In addition to BSB memorabilia, there are interactive parts like a fan confessional, a BSB hologram, the fan wall, and more. You can purchase tickets to see the experience before it’s gone here. After performing on Jimmy Kimmel (twice), the group picked up where they left off in Las Vegas to kick off their last nine shows at Planet Hollywood, but the city is not done with them! In honor of their sold-out-almost-every-night Larger Than Life residency, it was announced last night during their show that April 10th has officially been named Backstreet Boys day in Las Vegas and they were given keys to the strip. “You welcomed us, we thank you. We’ve had an incredible time and you’ve got a permanent resident,” Kevin spoke after receiving the honor, referring to Nick Carter who moved his family there at the beginning of the residency in 2017 and has worked with various organizations in the community since. Carter followed up by thanking fans who made it possible for them to gain the success they have with the residency. If you haven’t seen it yet, grab tickets before it’s too late. The best selling boyband will also receive the honor of being forever immortalized in Vegas history with a handprint ceremony at Planet Hollywood on Friday, April 12th at 4pm. The event is open to the public.